Time To Relax and Unwind at Glen Ivy Hot Springs Spa in Corona, CA! 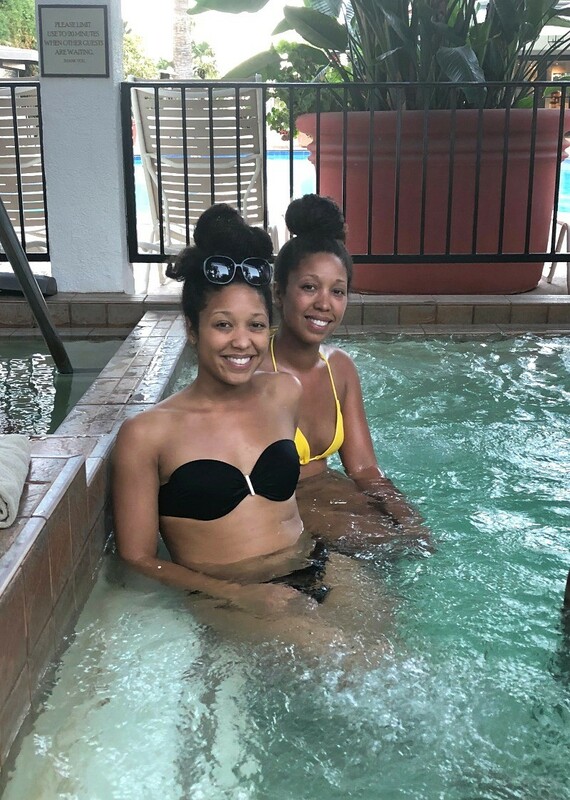 We absolutely loved our trip to Glen Ivy Hot Springs Spa in Corona, CA. If you’re looking for a SoCal escape to relax, unwind, and get away from the day to day, then this is the place! Thanks to Glen Ivy for hosting us at their day spa in southern California. 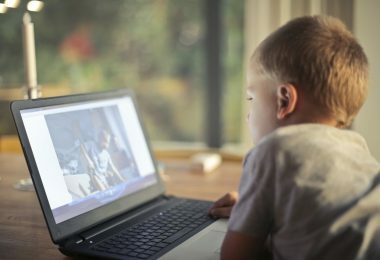 It’s not very often that we get a break from everything. 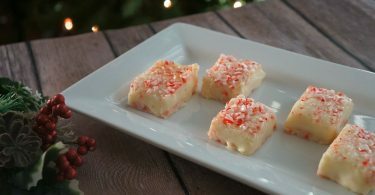 You know, even though we may have weekends off, there are still so many things that need to be done and errands to run. 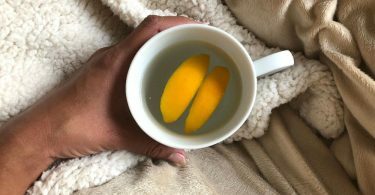 Self care is super important, and I truly believe that we all need to be pampered from time to time! 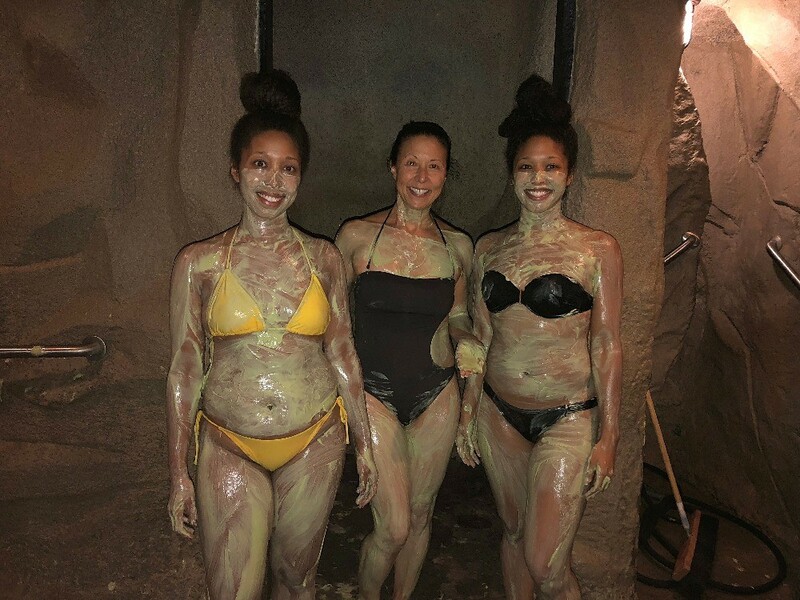 My mom, sister, and I recently got to spend time at Glen Ivy Hot Springs and Spa here in Southern California and with all of the hustle and bustle of life during the holidays, it was EXACTLY the escape that we needed! Glen Ivy Hot Springs Spa in Corona is an adults only retreat that is a premiere day spa destination in Riverside County. It is a place covered with lush grounds and features numerous pools, hot tubs, natural hot springs mineral baths, massages, facials, full body treatments, and so much more! This day spa in Southern California is unique in that it has so many things that you can experience in one place. I have never been to a place like Glen Ivy Hot Springs, it is a treat for the body and soul! 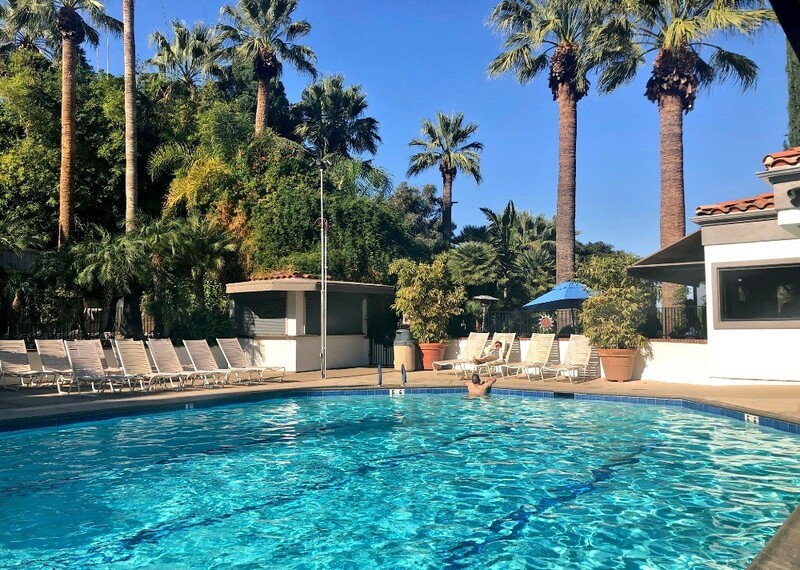 Read on and you can check out some of my photos of Glen Ivy so you know what you love about the place before you start planning your trip! 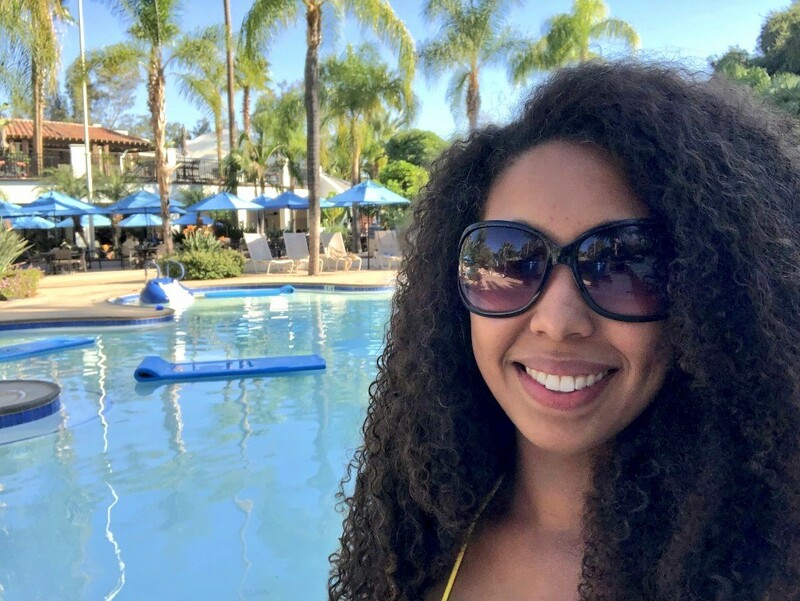 Here are some of my favorite things that we experienced at Glen Ivy Hot Springs Spa in Corona, CA. 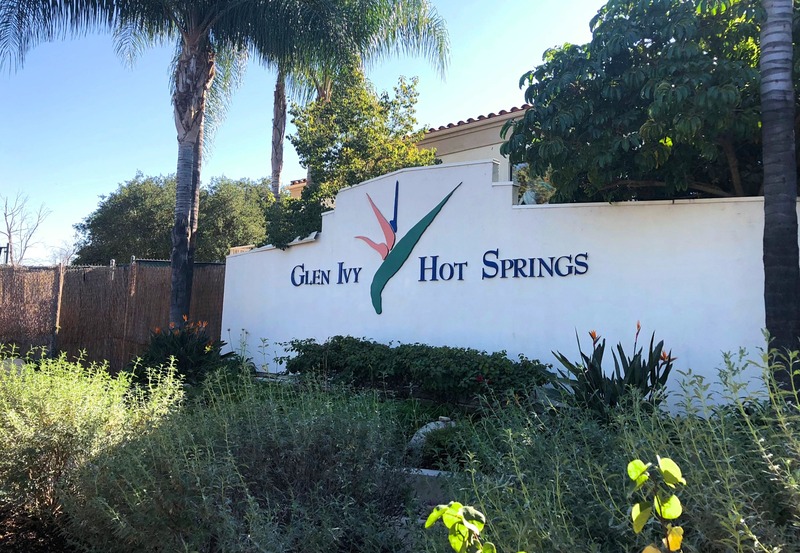 There are a variety of hot tubs at Glen Ivy day spa, including a saline pool (great for after massage), the hot and cold plunge, and the Vista pool full of natural mineral spring water. I really love the mineral baths located next to the large lap pool, there are three of them and they are full of invigorating, piping hot mineral spring water! This has to be my favorite part of the day. Glen Ivy’s Club Mud is super fun, and beneficial to the skin at the same time! Here’s what it’s like: You enter the warm mud pool, get a little bit wet, and begin to cover your skin with a thin layer of the natural clay mud. Sit in the Wafa, or warm drying chamber, and all the mud to dry completely. Then, you can wipe and peel off the layers of mud and reveal a new you! This clay draws out impurities and exfoliates dead skin cells, leaving your skin with a smooth glow. Please go and do this, it was so much fun! Make sure you bring an older swimsuit, just in case the mud doesn’t wash off. Ohhh The Grotto, a full body spa treatment that I love! I had been to this Southern California day spa in the past but never heard of this Glen Ivy treatment. We were taken down below the resort and into an underground chamber and prepare to be painted with a mask of aloe vera, coconut oil, shea butter, eucalyptus, and lavender, all used to hydrate your skin. Spend about 10-15 minutes in the warm hydration chamber to activate the mask, then shower it off. 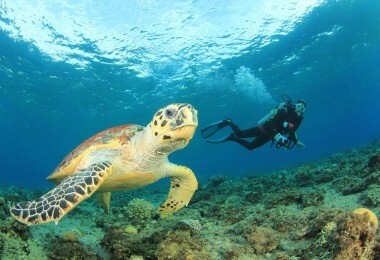 This is an experience that you can do with a group, so book The Grotto treatment together! Glen Ivy Hot Springs Spa in Corona has a variety of pools, warm and cool, to relax and rejuvenate in, all serving different needs. Pools include a large lap pool, where fitness classes and free lap swimming happen, and a shallow lounge pool, where you can bask and soak in some sun rays. There are also a couple of smaller pools and cabanas in the Lounge Zone at the west end of the property. There are several massages and body treatments available at Glen Ivy. I got the Aromasoul Swedish massage, the rooms were warm, inviting, and private, and I was able to choose my aromatherapy oil scent. My masseuse was well trained and friendly, she asked what pressure I preferred and really catered to my needs. 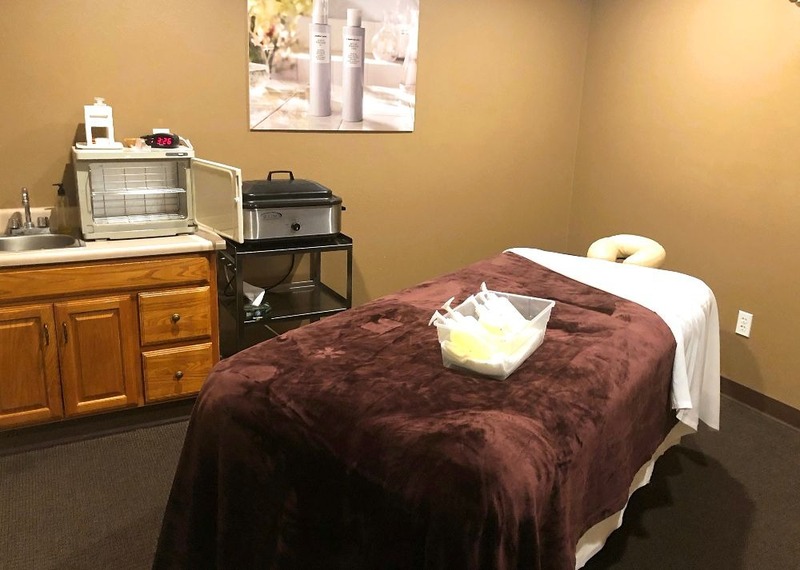 My massage was amazing, but if you need other options, you can also get deep tissue, hot stone, tranquility, and pregnancy massages, body scrubs, facials, manicures, pedicures, and even specialized services for men. I loved everything about my trip to Glen Ivy Hot Springs and Spa in Corona, it was just what I needed. Look, this was such a necessary trip to get away from the day to day, and I feel so relaxed, still! If you’re in the Southern California area, I highly recommend that you plan a visit. Glen Ivy Hot Springs is about a 1.5 – 2 hour drive from San Diego and Los Angeles, and right next door to the Riverside area. 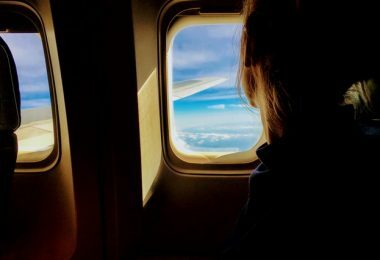 This place is great for everyone, come for birthdays, girls trips, anniversaries, or really any time you need a refresh. 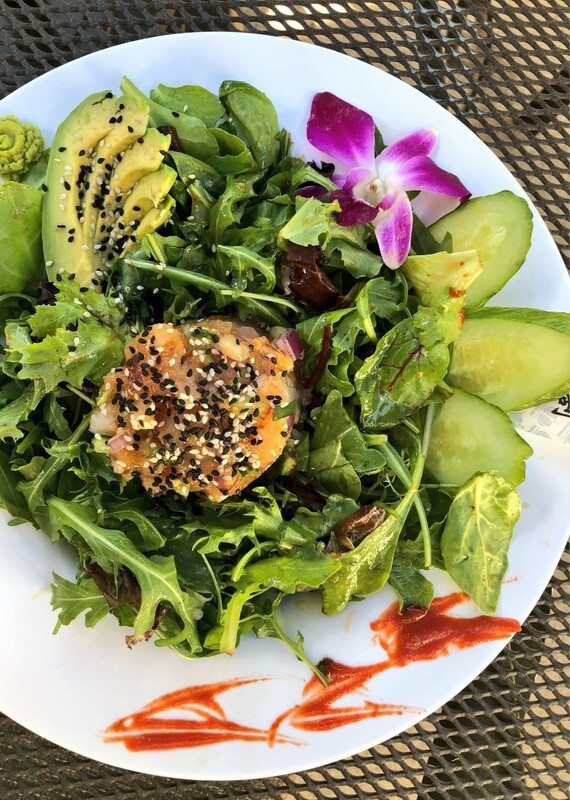 Plan to spend the entire day there, and enjoy a fresh, healthy meal at the Ivy Kitchen or the Goco Cafe – they’ve got a whole Starbucks in there! Thanks again for hosting us, we will definitely be back! Visit Glen Ivy for more information about the day spa and to book your treatments, and follow along with their Instagram, Facebook, Twitter, Pinterest, and YouTube pages for more spa fun!